County Progress is regularly asked for information on the varied county road systems. The text below provides a simple explanation of each system and the related Commissioners Court responsibilities, along with important information on statutorily required road reports. A county road is a public road that has been accepted for maintenance by the Commissioners Court pursuant to the standards set by the Commissioners Court. These roads are located in the unincorporated areas of the county. roads within the incorporated limits of cities, villages, towns or other entities, maintained by those entities. With regard to the authority of the Commissioners Court, Bob Bass, attorney with Allison, Bass & Magee, LLP, cites the Transportation Code and the Local Government Code. 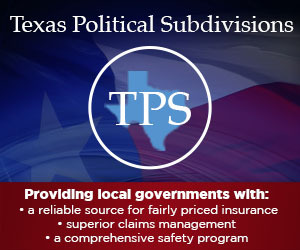 Article 16, Section 24 of the Texas Constitution, together with Chapters 251, 258 and 281 of the Texas Transportation Code, allow the County Commissioners Court to lay out and establish, change and discontinue public roads and highways, and to exercise general control over all roads, highways, ferries and bridges in their counties. An individual County Commissioner has no authority to establish a county road. Roads should be classified as 1st, 2nd or 3rd class roads. The Commissioners Court may establish or change the status of a county road. The county cannot maintain a private road. It is vital to have clear authority for maintenance on all roads in the county inventory. Chapters 251 and 252 of the Texas Transportation Code discuss general county authority relating to roads and bridges and systems of county road administration, respectively. The first two road management options are generally known as precinct systems, whereby County Commissioners oversee the roads in their individual precincts. The County Commissioners are the supervisors of the public roads in a county unless the county adopts an optional system of administering the county roads under Chapter 252. The statute requires a County Commissioner serving as a road supervisor to supervise the public roads in the Commissioner’s precinct at least once each month and make a report during the ninth month of the county’s fiscal year. See the Required Road Report section below for a detailed explanation of this required report. The County Commissioner takes care of the roads in the Commissioner’s precinct. Under rules adopted by the Commissioners Court, the Commissioner directs the laying out of new roads, construction or changing of roads and building of bridges. Subject to authorization of the Commissioners Court, the Commissioner can hire employees, to be paid from the county road and bridge fund. While this section of the statute does not specifically reference a road report, the statute does state that “an ex officio road Commissioner has the duties of a supervisor of public roads…” One of the duties of a supervisor, according to Chapter 251.004 is, indeed, completing a road report. In other words, County Commissioners who supervise their precinct roads as part of the Ex Officio Road Commissioner System are required to complete a road report, confirmed Bass. In the remaining three systems described in the statute, roads are primarily managed by employees other than the County Commissioners. The law allows County Commissioners to employ up to four Road Commissioners who are subject to the control, supervision, orders and approval of the Commissioners Court. The Road Commissioner ensures that roads and bridges are kept in good repair, establishes a system of grading and draining public roads, and spends funds as needed on the public roads, bridges and culverts. Road Commissioners may use road districts separate from precincts or operate under a countywide or consolidated system. The Road Commissioner is required to give regular reports to the Commissioners Court. While the elected County Commissioners still maintain ultimate control over the roads, the appointed Road Commissioner oversees the daily activity. This system is sometimes referred to as the “voluntary unit system.” In this system, the Commissioners Court appoints a Road Superintendent for the county or one Road Superintendent for each precinct for a two-year term. Work performed under the Road Superintendent is subject to the general supervision of the Commissioners Court. The Road Superintendent directs the laying out, construction, changing and repairing of roads and bridges and other related duties including grading and draining. 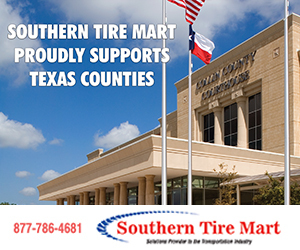 The Road Superintendent is required to file a sworn report at each regular term of the Commissioners Court. This system, commonly referred to as the “referendum unit system” or “unit system,” requires a petition signed by at least 10 percent of the numbers cast in the last election for governor. The petition is presented and certified by the clerk, like any other election, and then goes on the ballot. According to the statute, “The ballot for the election shall be printed to permit voting for or against the proposition: ‘Adopting the Optional County Road System in _______ County.’ ” If passed, the countywide system is imposed upon the county and cannot be done away with except by another petition and vote. The system creates a county road department that includes the Commissioners Court as a policymaking body and the County Engineer as the chief executive officer. The Commissioners Court appoints a licensed, professional engineer for an indefinite term. If a county cannot for good reason hire an engineer, the law allows the county to appoint a County Road Administrator who has had experience in road building or maintenance or other types of construction work. Two key elements make this system unique. First, every road activity, whether it be construction, maintenance or use of county road department equipment, is “to be based on the county as a whole without regard to Commissioners’ precincts,” according to the statute. Second, while the Commissioners Court maintains general policymaking authority, the County Engineer or Road Administrator is the executive officer, meaning he or she makes key decisions including hiring and firing, Bass specified. This contrasts with the Road Commissioner and Road Superintendent systems, in which the Commissioners Court maintains a supervisory role. The County Engineer is also required by Chapter 252.309 of the Transportation Code to prepare and file full reports on all aspects of road maintenance. Chapter 251.004 of the Transportation Code states that County Commissioners are the supervisors of the public roads in a county unless the county adopts an optional system of administering the county roads under Chapter 252 of the Texas Transportation Code. additional requirement per Chapter 251.018: primary cause of any road, culvert or bridge degradation if reasonably ascertained. In the 83rd Legislative Session, the Legislature provided for County Energy Transportation Reinvestment Zones. This legislation imposed a new reporting requirement by inserting a new section into Chapter 251 of the Transportation Code. This new section, Chapter 251.018, requires a road report for all counties, including those operating under either Chapter 251 or Chapter 252, to include in all previously required reports a statement of the “primary cause of any road, culvert or bridge degradation if reasonably ascertained.” This provision is tied to an effort to identify and track the costs to the state and county for road damages attributable to heavy truck traffic in the oil and gas sector. As a consequence, all Texas counties are now required to track the cause of degradation of roads, if ascertainable, and to retain these records for audit purposes if that county is participating in the Texas Infrastructure Grant Fund program. Chapter 252 counties (unit systems), are not required to file their reports with the grand jury. As stated earlier, Chapter 252.001 defines the Ex Officio Road Commissioner System, commonly referred to as the precinct system, whereby the County Commissioner takes care of the roads in the Commissioner’s precinct. The language in this section specifies that “an ex officio road Commissioner has the duties of a supervisor of public roads…” One of the duties of a supervisor is, indeed, completing a road report (see page ? for a sample road report). Chapter 252 describes who is responsible for road-related reports in the three remaining systems. Chapter 252.107 requires a “Road Commissioner” to file reports at each term (meeting) of the Commissioners Court. Chapter 252.207 requires a “Road Superintendent” to file a sworn report at each regular term of the Commissioners Court. Chapter 252.309 sets out the duties of a “Road Engineer” or “Administrator” who shall maintain detailed records of all county expenses related to road maintenance. “The road report is statutorily required as a basis for budgeting, so complaints of the necessity for such reports are misplaced,” Bass declared. “Additionally, if used consistently, the road report will have a very beneficial effect as evidence of county maintenance on those occasions when the county is required to defend the status of a disputed roadway.